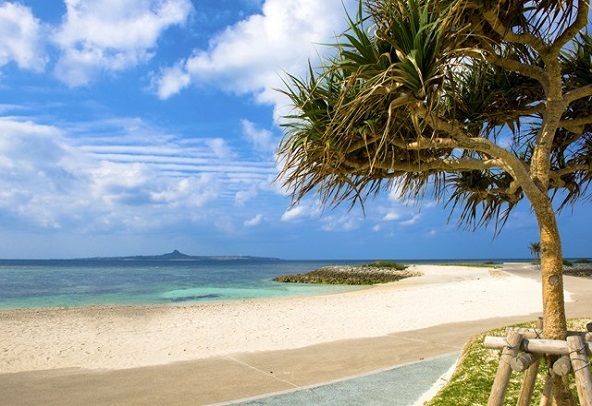 Located within Okinawa Ocean Expo Park in Motobu-cho. As you can assume from the name, it is a man-made beach with dazzling emerald green water. Great place to stop by to rest as no admission taken to the beach or the park. The second -largest aquarium is also within the park so plan your day here to spend. The biggest firework display is yearly held at the beach as well.